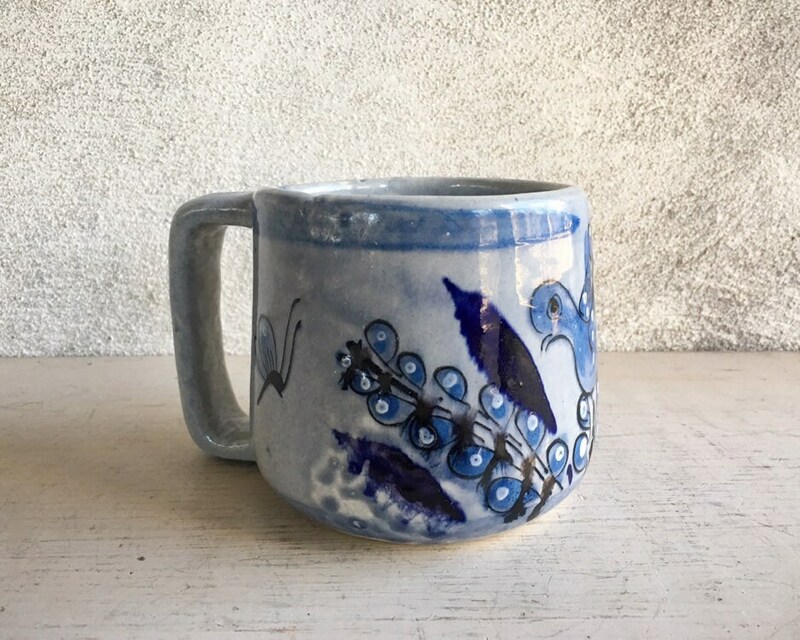 This older mug is big and beautiful. 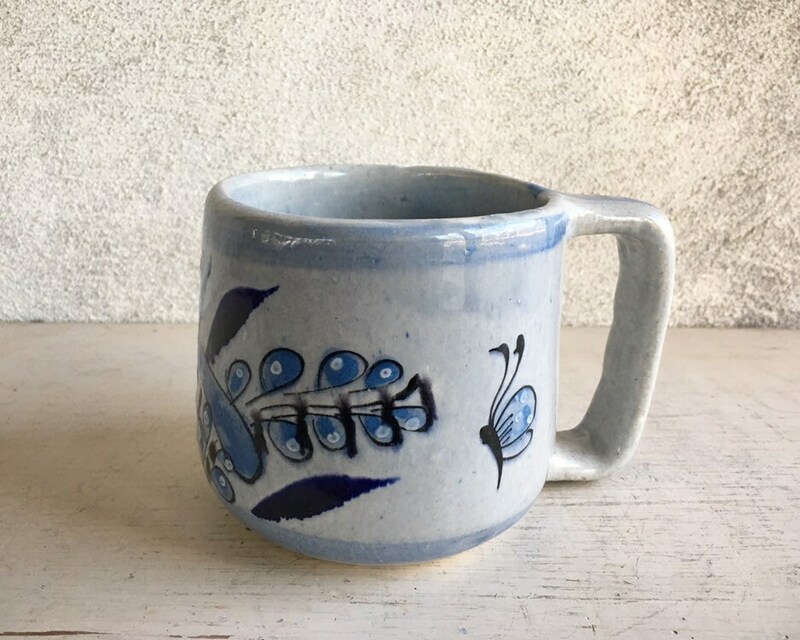 Striking--in part because of the size and in part because of the calming blue colors and bird design--this Mexican Tonalá vintage mug is hand-shaped and painted. 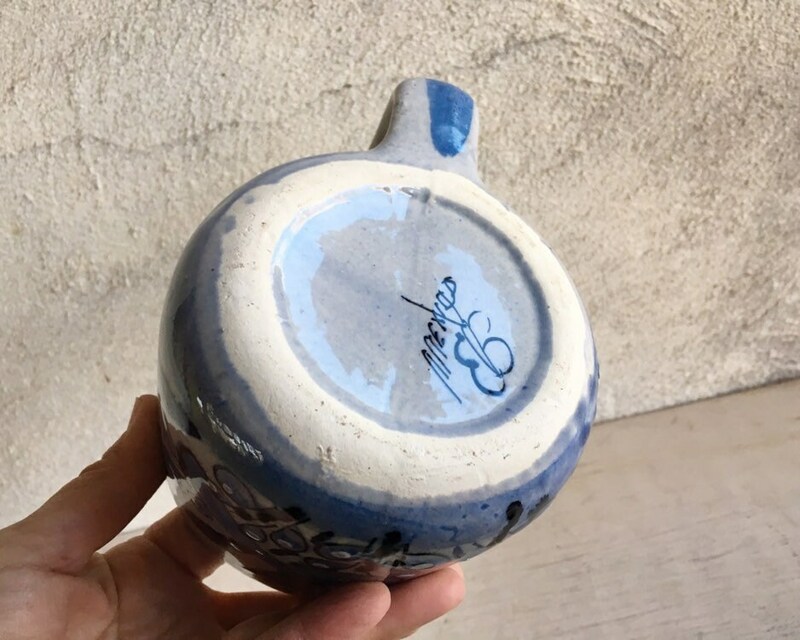 Tonalá is a renowned center for ceramics in Mexico. 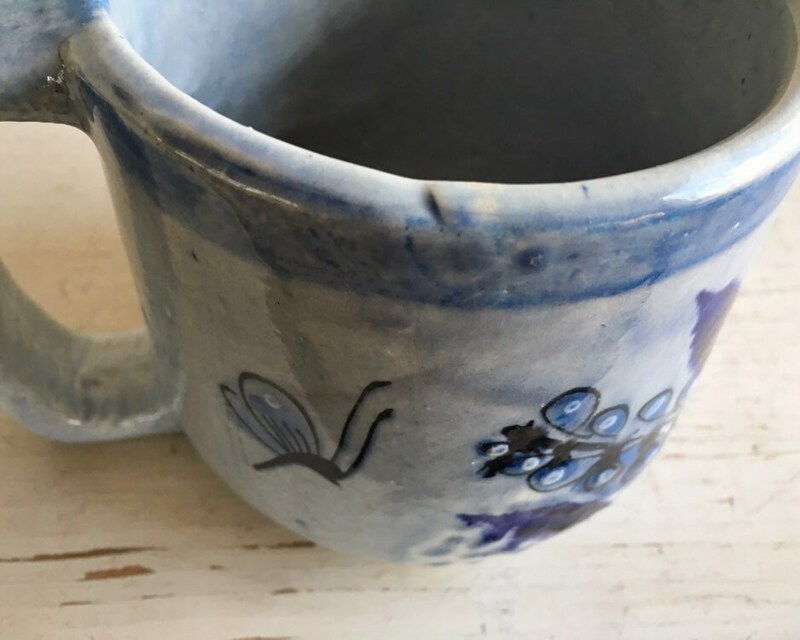 This cup feature the "flor de Tonalá" (Tonalá flower) which first appeared in pottery design in the early 20th century. 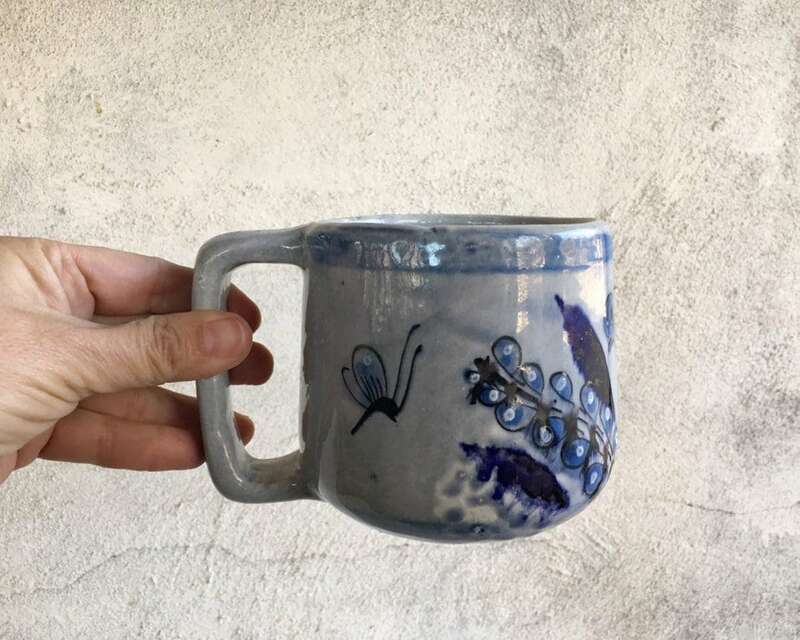 Use as a coffee mug, yes, but also would make a lovely succulent planter. No hole for drainage but put in a few pebbles at the bottom and it would be great. 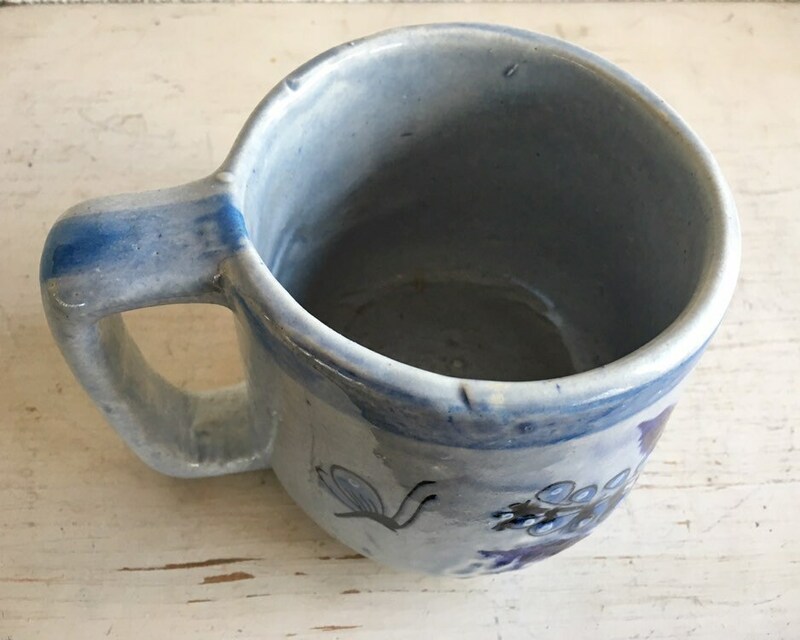 The mug measures around 4" tall and the mouth 4" in diameter, and about 5-1/2" across at the widest point, including the handle. Weighs over 1.25 pounds unpacked. Crazing in the glaze but no chips nor crack. A divot in the rim looks like a crack yet is not. 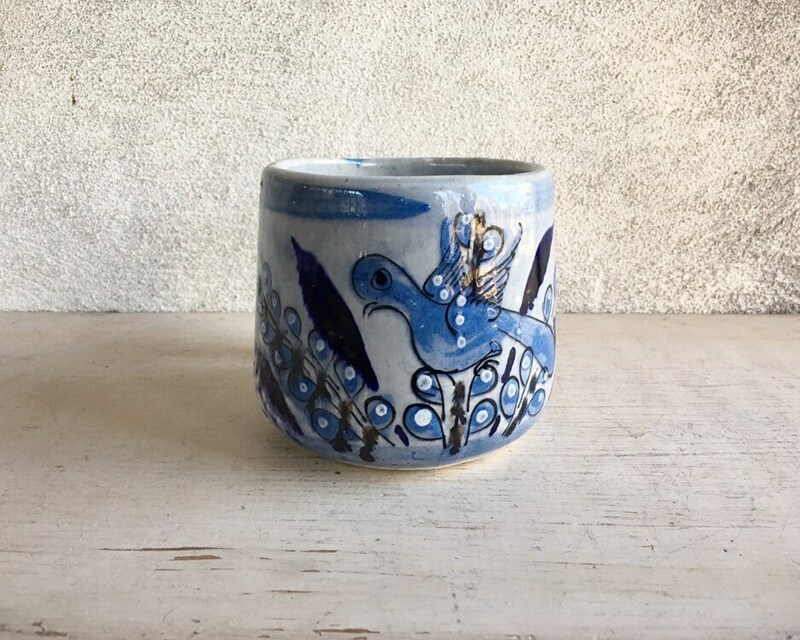 Enjoy a bit of Mexico in your home.